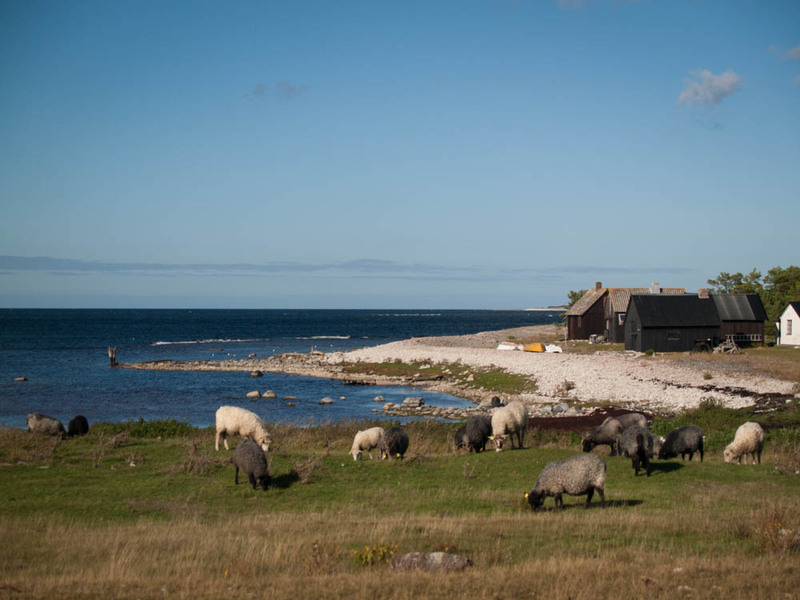 Gotland sheep grazing near a fishing village on Fårö, a tiny island off the northern coast of Gotland. September 20, 2015 Most people come to Europe for the high culture, or the art museums, or the ancient buildings, or the cuisine. My parents, on the other hand, come to Europe for the sake of a tiny, wind-swept island in the middle of the Baltic Sea. Or, more specifically, for one particular breed of sheep on that island. 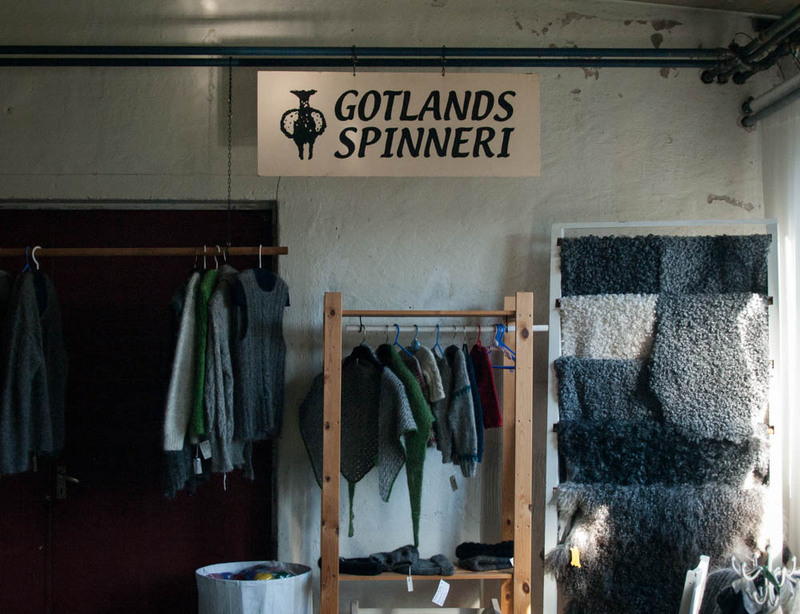 Gotlands–small and hardy, with a lustrous silver fleece prized for both pelts and yarn–are inseparable from the natural landscape of the island, a beloved part of Sweden’s national heritage. Everyone, it seems, raises sheep. Gotlands are incredibly rare in America, and my family owns one of the only farms with the breed on the East coast. 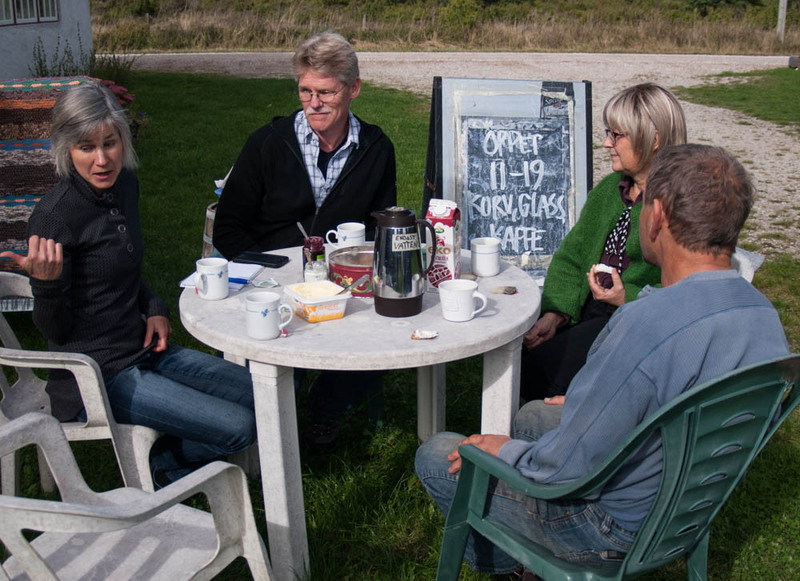 My parents, and my mother in particular, were thrilled for the chance to travel to the island itself–a once-in-a-lifetime opportunity to learn and look behind the scenes and ask questions that only Gotland farmers know the answers to. 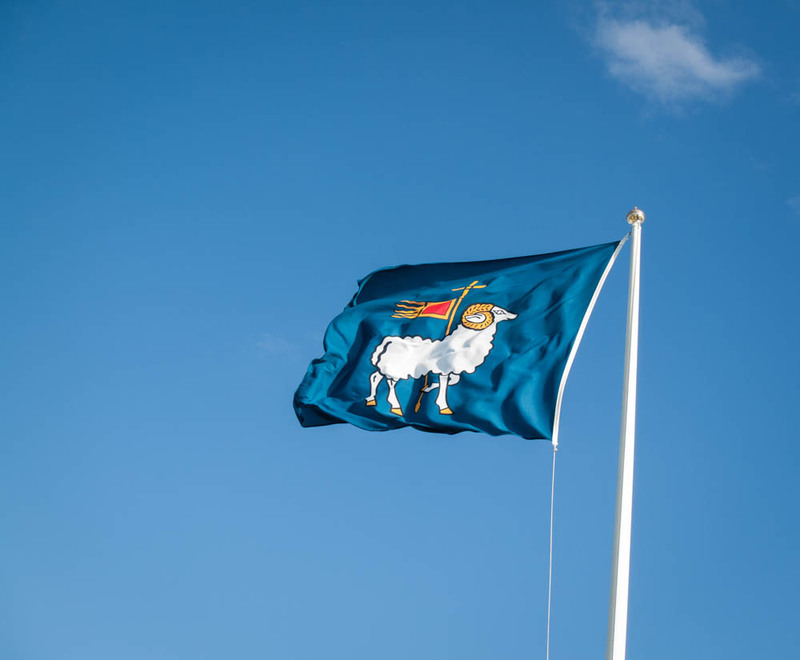 The flag of Gotland Island. The sheep graze right down to the edge of the Baltic Sea. 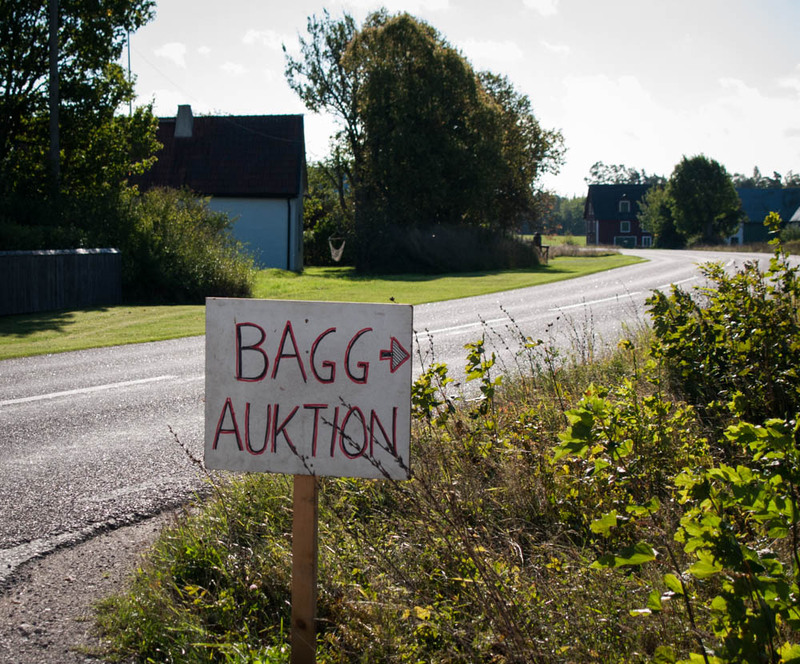 And so we spent a long weekend on Gotland traveling from farm to farm, visiting shops and talking to people. I am, I admit, usually the fine-cuisine-and-art-museum type, but I surprised myself by loving the entire trip–not, as in the case of my parents, because of all the technical sheep-talk that went on, but because of the way we travelled. This was no superficial tourist trip: stay three nights in a youth hostel, hit the big sights, and never speak with a local. Instead, the four days on Gotland were gritty, real, in-your-face–dialogue after dialogue with the people who make their living there, raising sheep in thatched-roofed barns on 1,200-year-old farmsteads. This is how I want to travel. Thanks to local advice, we strayed pretty far from the beaten path. 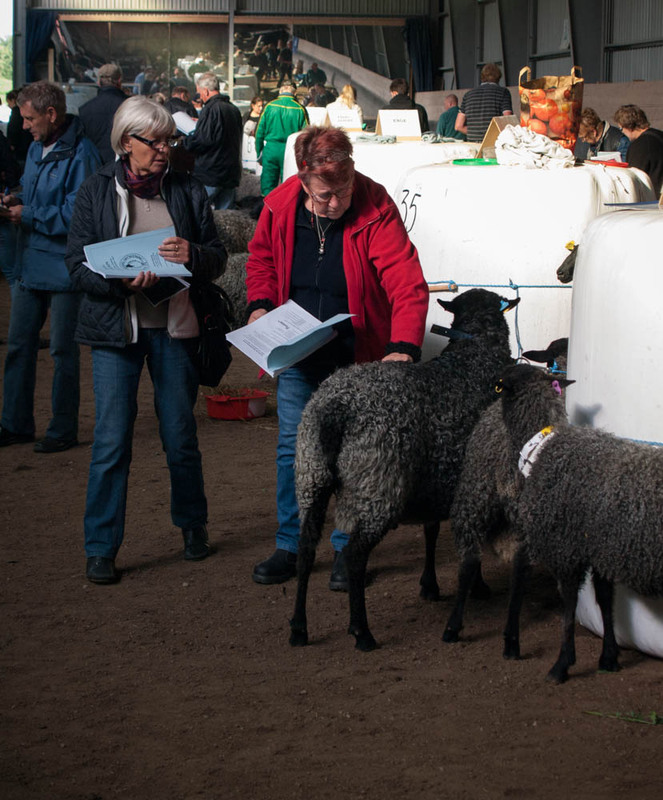 We attended, for instance, the island’s annual ram auction–dozens of Gotland’s most gorgeous animals selling to buyers from across Sweden, prices up to 8,000 dollars. I mean, how many of your average summer visitors can boast of that?! “It’s like Christmas for sheep people! !” one shepherd told us with utmost enthusiasm, wrist-deep in the fleece of one particularly handsome ram. You don’t get that every day. 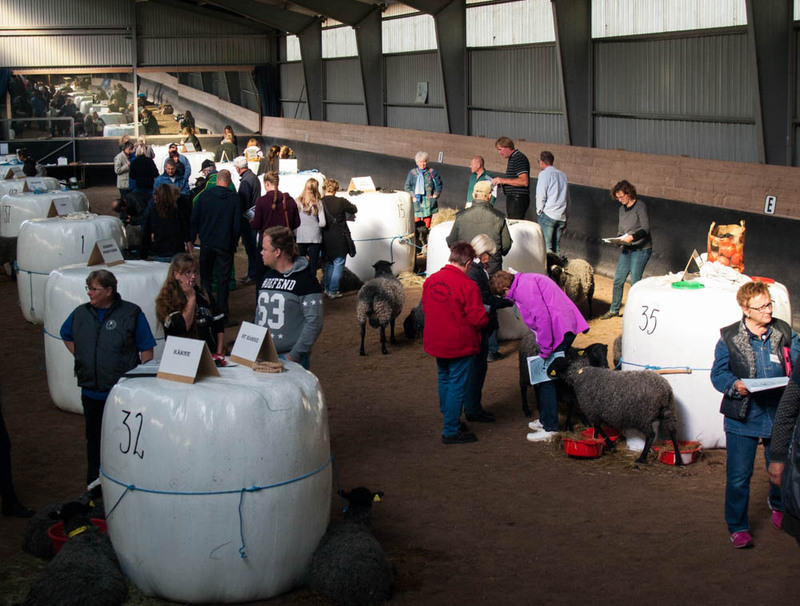 Before the start of the ram auction, potential buyers have the chance to examine the sheep and talk to the shepherds. Our personal favorite, a perfect example of the traits of the Gotland breed. 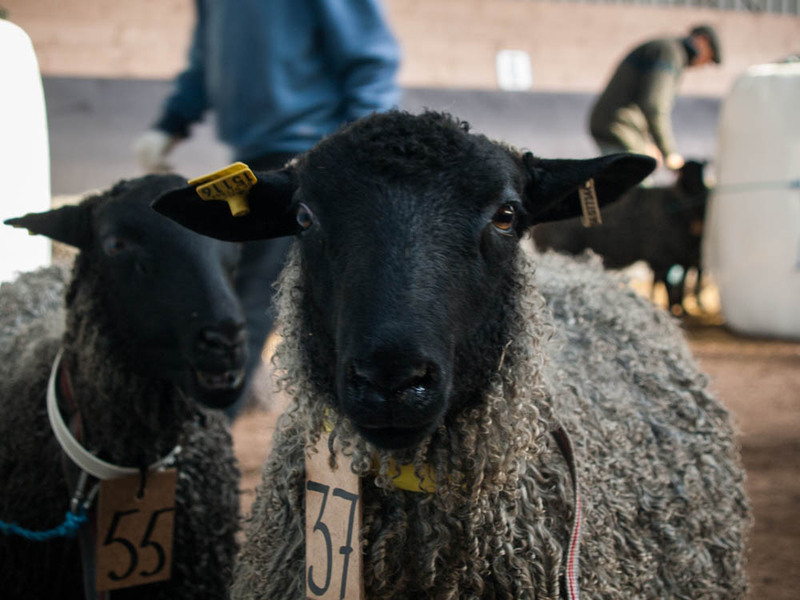 The sheep are ranked in multiple categories (body composition, color, wool luster, curl depth, etc. ), and the results are printed in a booklet handed out to all potential buyers. 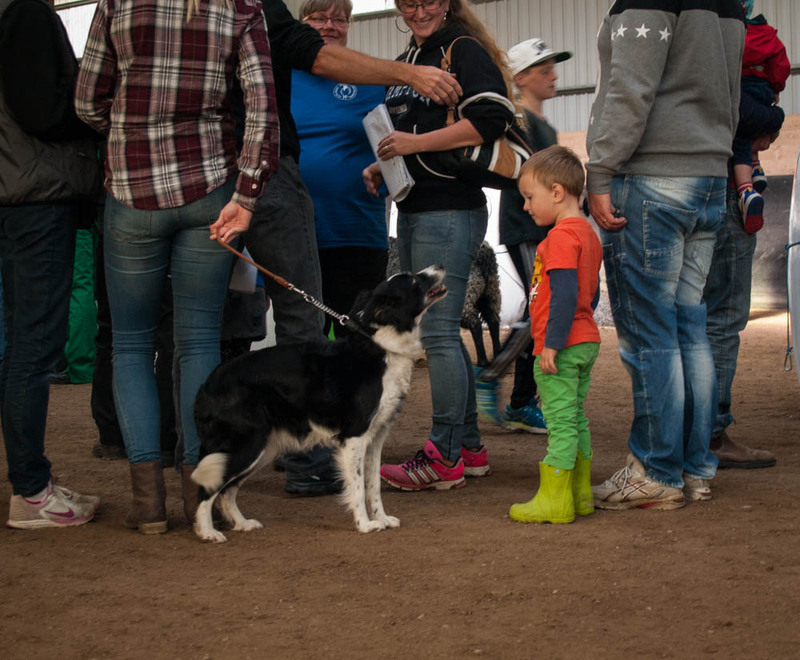 The scores are consulted and the animals carefully examined before the bidding begins. 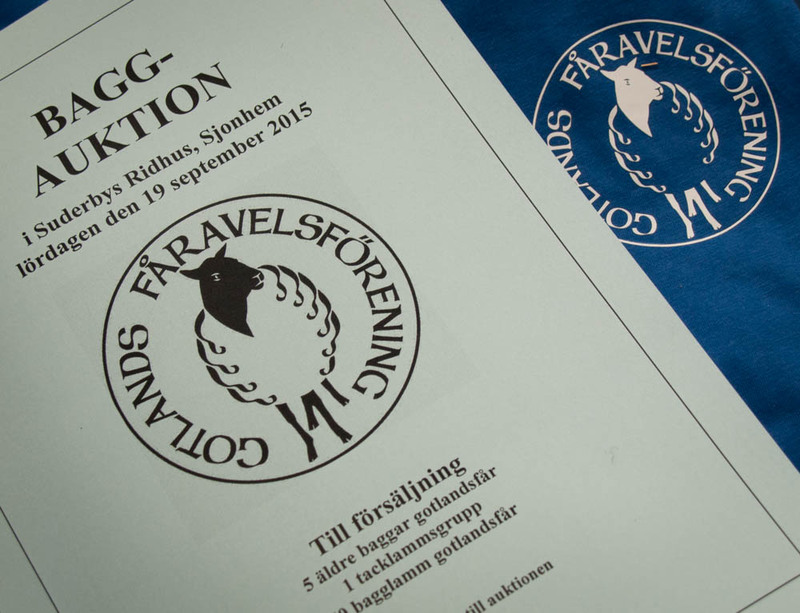 The official scoring booklet, published by the Gotland Sheep Association. The whole event was a family affair–much laughter and greeting of old friends, a communal lunch, and dozens of white-blond children. Older shepherds we talked to expressed delight that so many young families on the island are interested in raising sheep. In the end, the best part of the trip were the people themselves: the farmers, the hand workers, the proud owners of small businesses that, ultimately, weren’t all that different from those in Vermont. It seems that farmers all over the world speak the same language–a language that I find myself eternally drawn back to, even after falling in love with the European metropolis. Farming people are somehow real, connected to land and tradition in a way that makes city life seem sometimes overblown and overcomplicated. 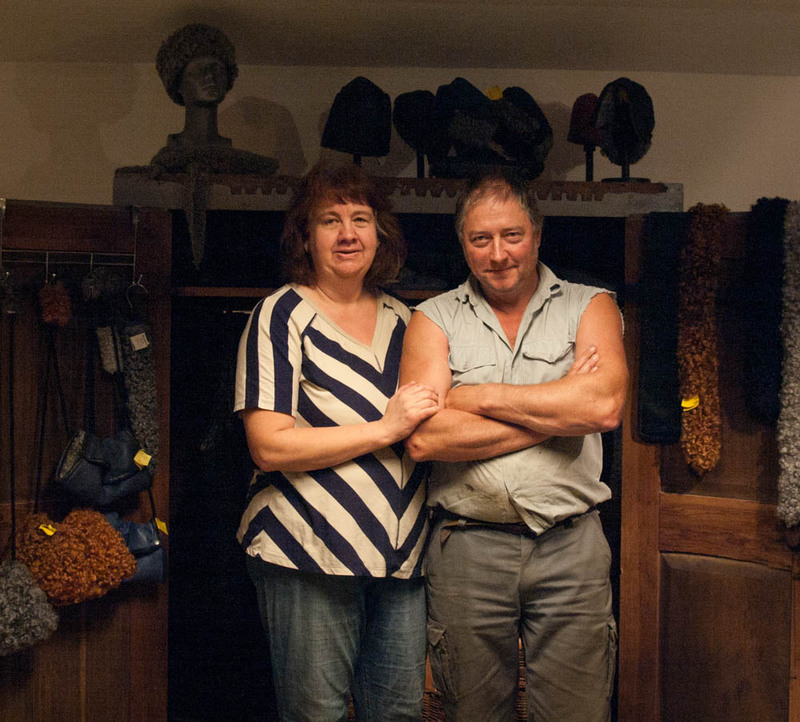 The hospitality of the Gotlanders we met was staggering. It began at the tiny airport in Visby, where an online knitter-friend of my mother’s surprised us with a home-cooked lunch, a map of the island, and thirty minutes of helpful advice. On every farm we visited, the shepherds opened their barns, stores, and studios to us, overcoming sometimes-limited English to answer hundreds of our questions and to ask their own. Family secrets were spilled and tall tales were told, and a whole lot of very technical sheep discussion took place that went right over my head. A small wool mill that spins yarn for many of the farms on the island. 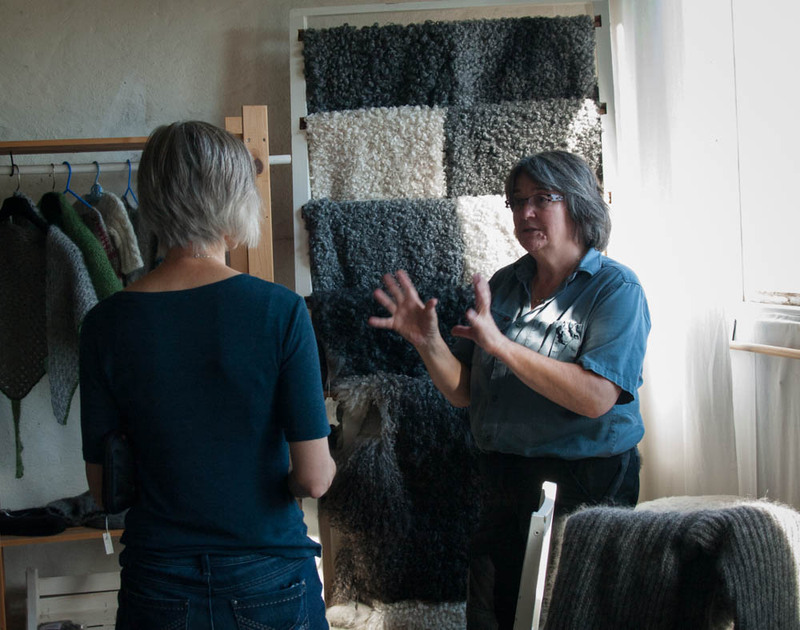 The owner Eva talks to my mother about evaluating fleeces. 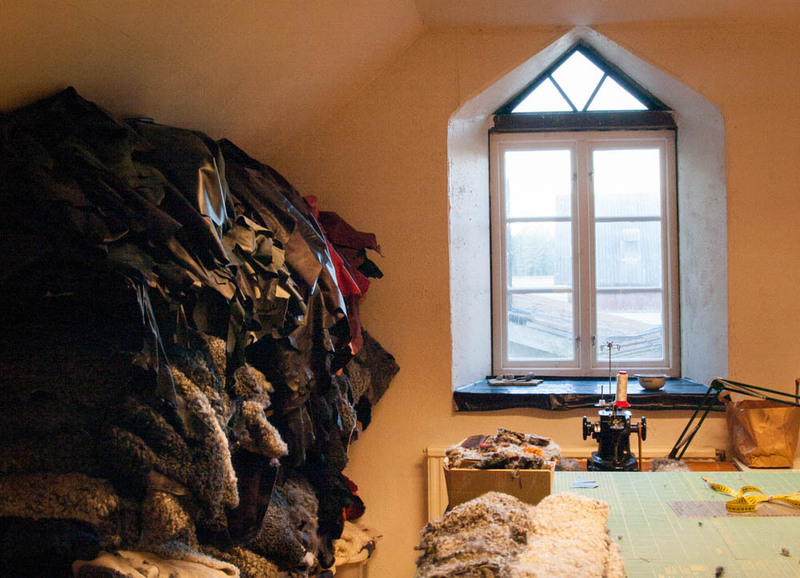 The studio at the farm Lamm och Bi, where shepherdess Annette sews fleece vests for boutiques in Visby. 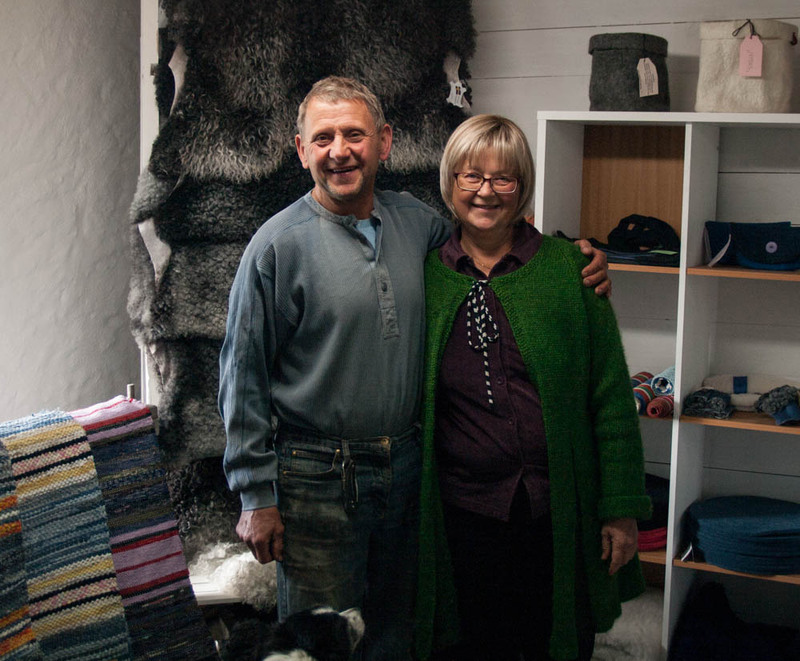 Annette and Dan, the owners of Lamm och Bi, standing in front of shelves of their products in the farm store. The two of them care for some 600 sheep (without outside help!! ), making them one of the largest Gotland farms in the world. 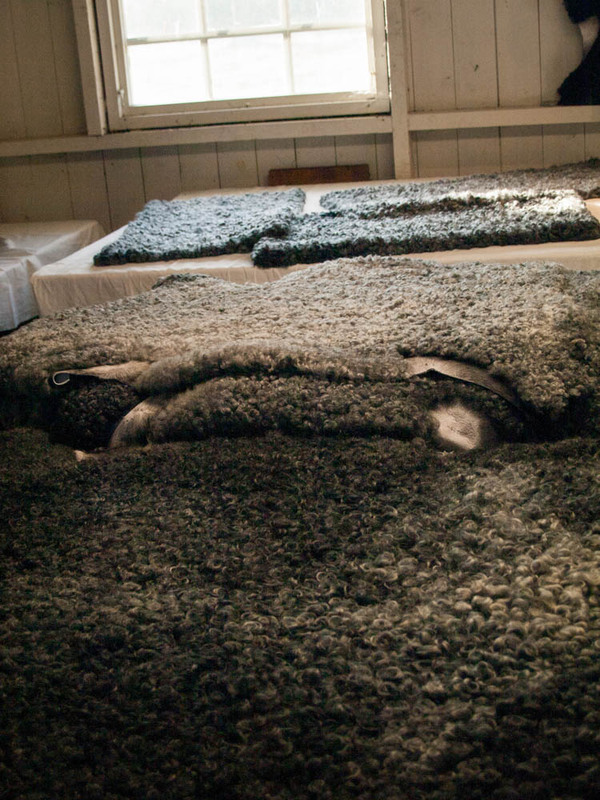 Sheep pelts displayed at Sindarve Farm. 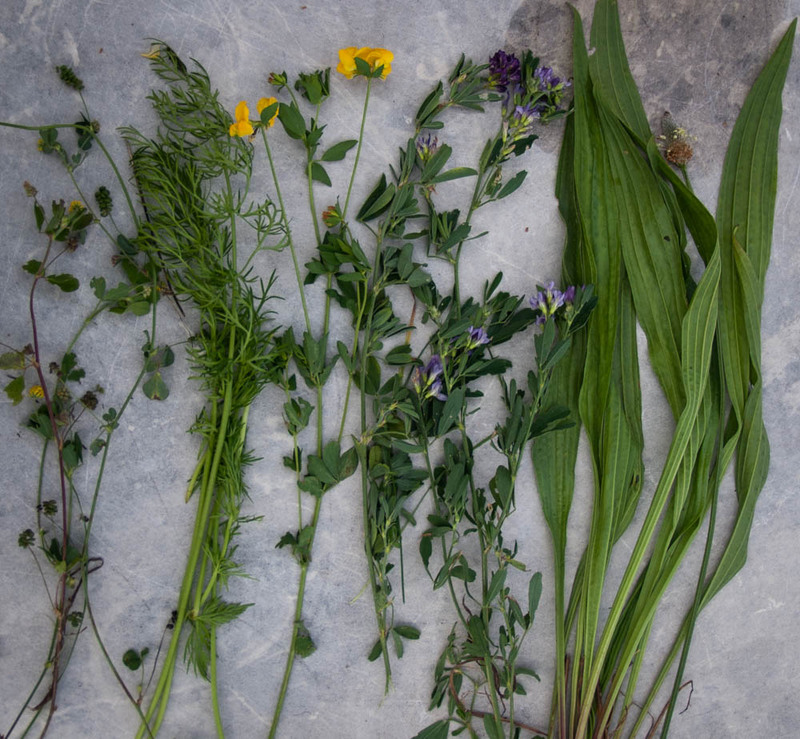 At Sigsarve Lamm Farm, shepherd Curre went out in the field and brought back a sample of different types of grass so we could see what Gotland farmers feed their sheep. Besides raising sheep, Curre also grows and preserves several types of ancient grains. 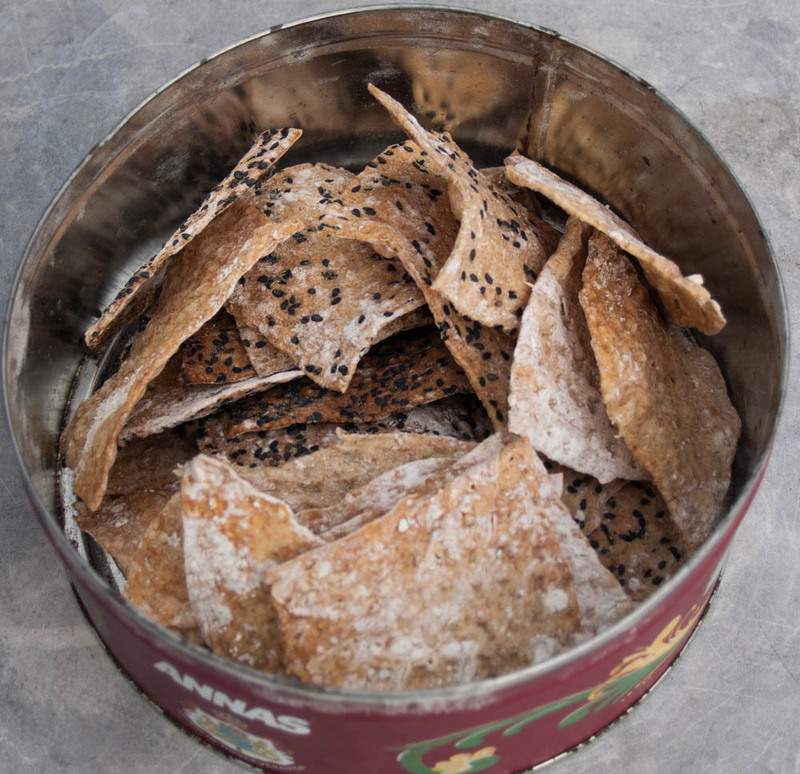 After we arrived, he rushed back to the farmhouse to bring us fresh crackers made with spelt and served with sour-milk cheese. Curre and his wife Lotte. “She do all the thinking! I just fix the fence!” he said, at which point my father decided they were secretly brothers. Curre and Lotte talked with us for nearly three hours over lunch and coffee. Crazy sheep stories were swapped and hilarity ensued. Most of the farms we visited were run by a husband-wife team, usually entirely without outside help. Everyone we talked to loved what they were doing, despite the work and the dirt and the isolation of living on a tiny island in the Balticum. 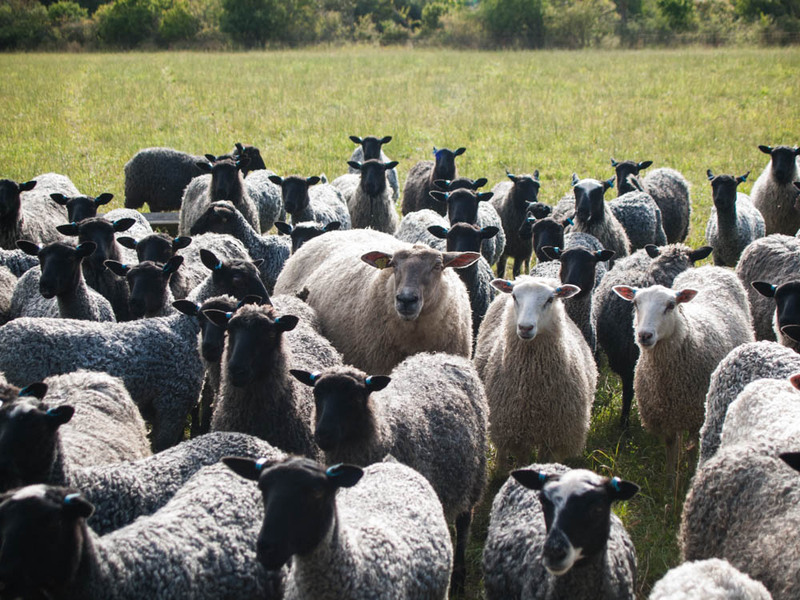 “Gotland sheeps are fantastic animals,” we heard again and again. 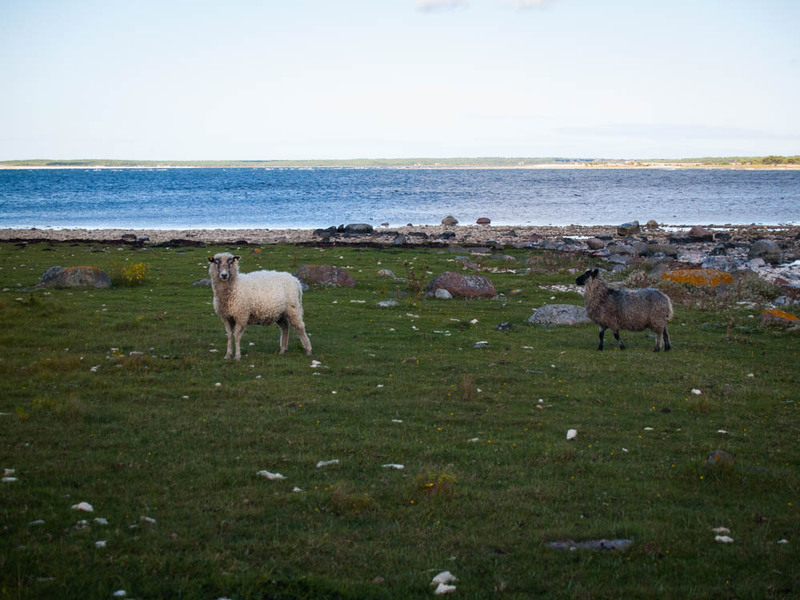 And because we also had Gotland sheeps, and because we were speaking the language, we were automatically a part of their inner sanctum, welcomed with open arms by people we had never seen before in our lives. Curre and Lotte’s flock, the loveliest we saw. This entry was tagged agriculture, animals, culture, farming, fiber art, food, Gotland Island, Gotland sheep, Grand View Farm, hospitality, pelts, People, photography, sheep, small business, Sweden, tourism, Visby, yarn. Bookmark the permalink. Emily,Wonderful article! I think you should try to get this published in a sheep magazine. What a great experience for you and your parents.